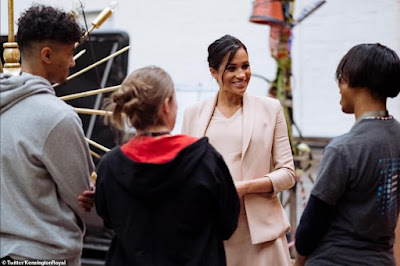 The Duchess of Sussex met staff at the National Theatre on London's South Bank today in her first official visit since succeeding the Queen as its royal patron. 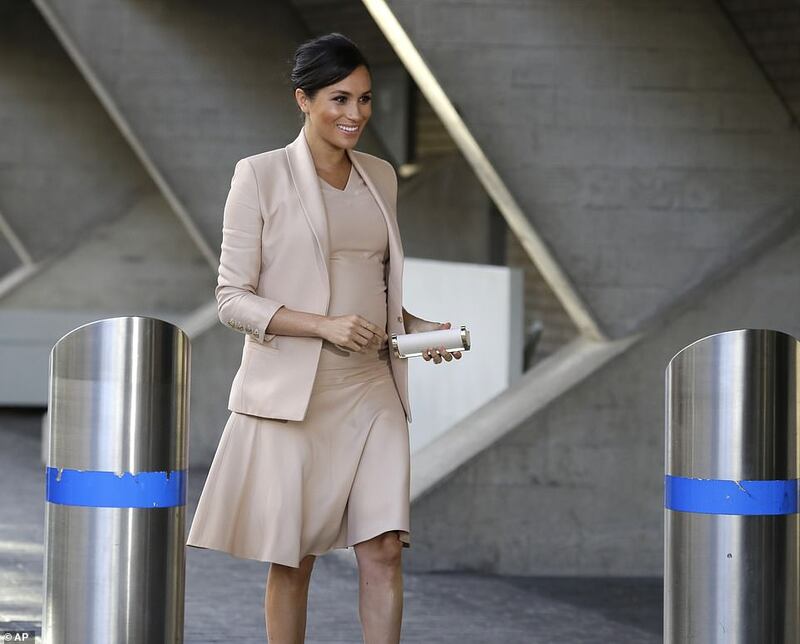 Meghan, who is six months pregnant, wore head-to-toe peach, teaming a £1,728 Brandon Maxwell mini dress with a matching £2,004 blazer, £440 Aquazzura pumps and a Carolina Herrera clutch. Her hair was styled in a high chignon with a sleek side parting, as she arrived to learn about the work of the institution and meet staff and apprentices working behind the scenes. The duchess has an affinity with theatre having spent a decade working as an actress in television, where she was best known for playing lawyer Rachel Zane in the hit legal drama series Suits. 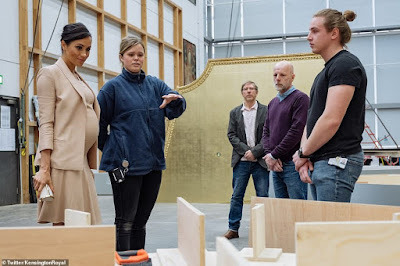 During her visit Meghan, 37, joined a workshop with members of the Pericles production before meeting apprentices working as technicians in different departments from carpentry to metalwork and painting. More blush pink than peach.